Painted nails have hit a crazy new level of ornate thanks to people like Lady Gaga, Rhianna, and Katy Perry. The trend lately is to paint tiny works of art onto each nail – the detail can get crazy! 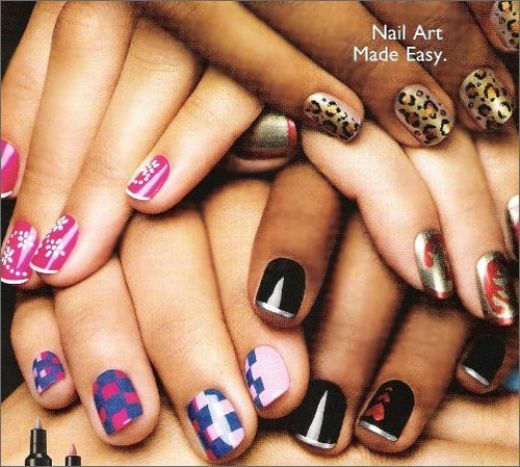 Here is a great sampling of current trends below…animal print, checkered, and “french manicure” with unique colors. Well, I decided to jazz up my nails a little bit for Easter weekend and hop on the current nail trend bandwagon – the ring finger glitter nail. I painted the rest of my fingers per usual (base coat, 2 coats of enuf is enuf, top coat). I did one coat of enuf is enuf on each ring finger and let them dry completely. 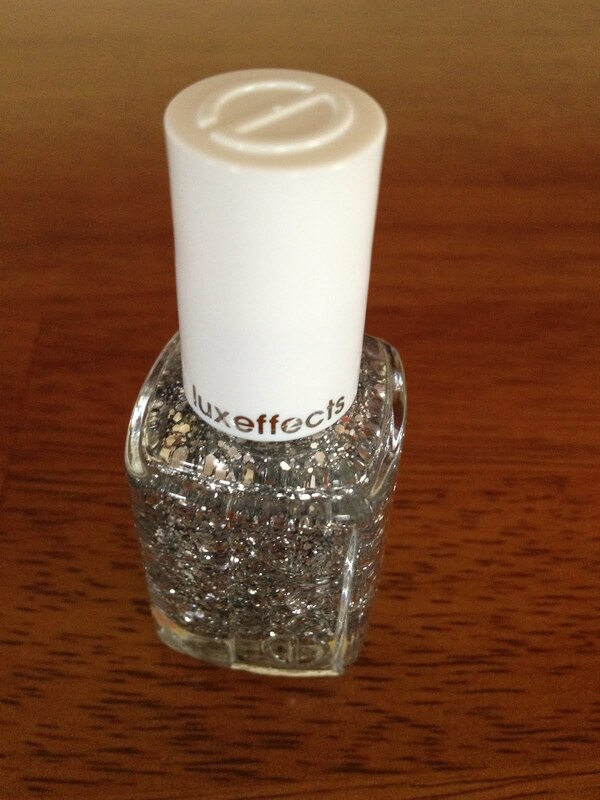 Then I used essie’s luxeffect polish in set in stones and painted one top coat (thanks for the polish, S!). 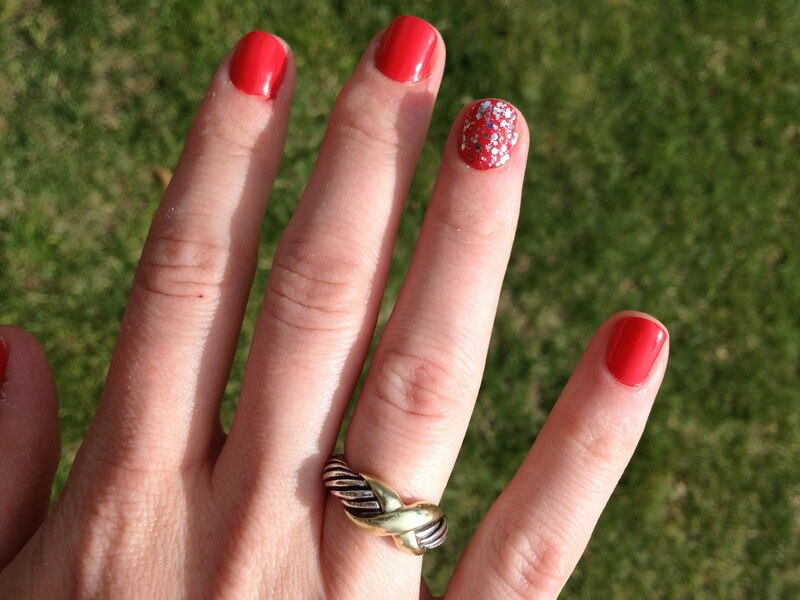 Then I finished each ring finger with a top coat to make sure that glitter wasn’t going anywhere. Voila!